During The First World War, the 51st Highland Division fought in many major battles. Our Battlefield Tours visit a number sites where this Division fought such as Beaumont Hamel, Ypres, Cambrai and Arras as part of the German Spring offensives. 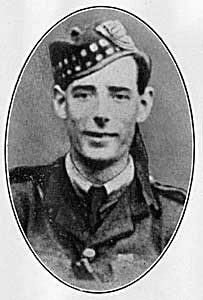 One family features in all these battles; Captain George Eric Edwards DSO and Sergeant Alexander Edwards VC were cousins, were both in the 1/6th Seaforth Highlanders and both fought with distinction. Captain George Edwards was awarded the DSO for acts of heroism at Beaumont Hamel during the closing days of The Battle of the Somme. The Battalion War Diary for 13 November 1916 describes how the then Lieutenant Edwards advanced through the British barrage to reach his objectives. With only six men, he called for the Germans sheltering in a cave to surrender and also captured the whole of the German staff. His commanding officer Lieutenant Colonel said, ‘But for the bravery of Lieutenant G.E. Edwards, the 51st Division would probably have failed in November 1916 to take Beaumont Hamel’. 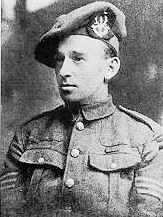 Captain George Eric Edwards is buried in Orival Wood Cemetery along with many other Seaforth Highlanders. Sergeant Edwards lost his life during the German Spring offences. On 24 March 1918 at Loupart Wood near Arras he was reported missing; he is commemorated on the Arras Memorial to the Missing.